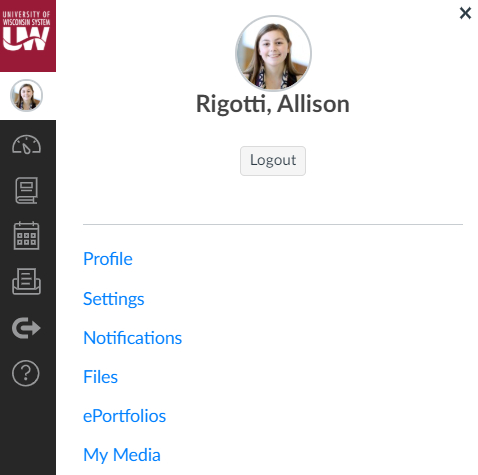 This will provide an overview of the Kaltura Capture software in Canvas. 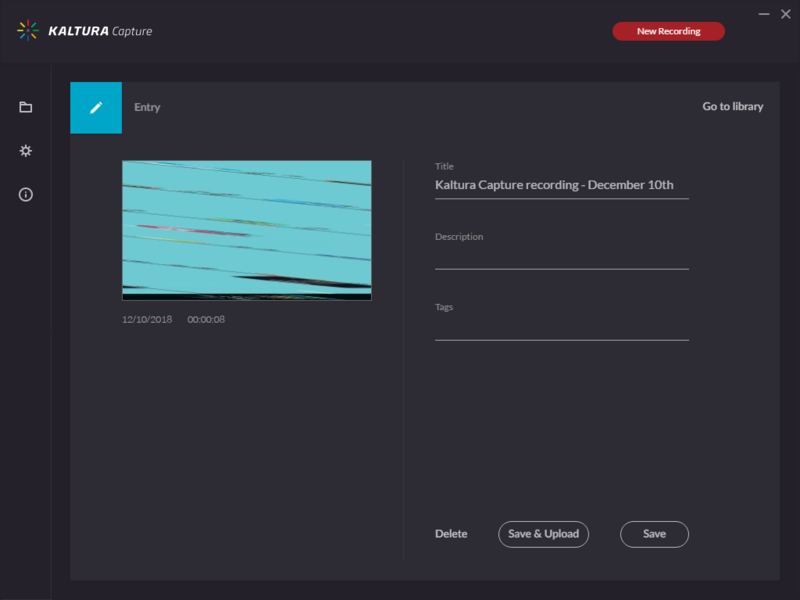 Kaltura Capture is a digital recording software that is available for students, faculty, and staff. This is the preferred recording software to use in Canvas. 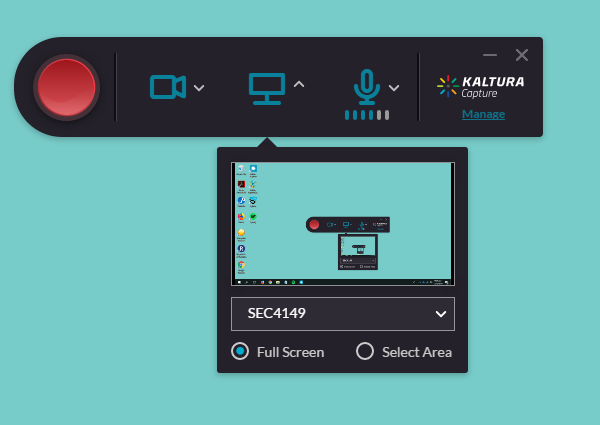 This software enables you to record from your desktop, your webcam, or opt for just audio. 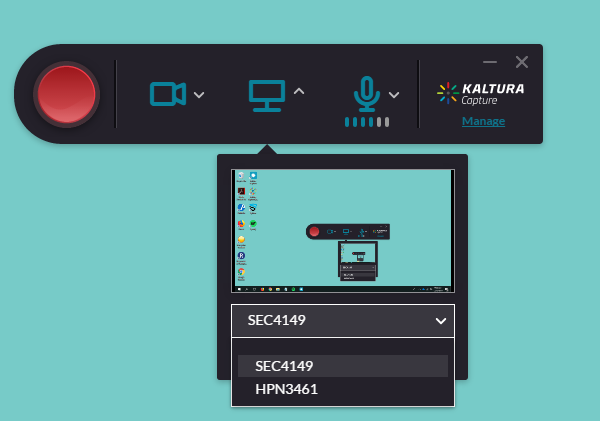 Kaltura Capture allows you to record up to two desktops or one desktop and a webcam. To preview the recording areas, select the drop down arrow next to the icons. When the drop down is selected, you can select the screen or camera you would like to record from. There is also an option for recording either the full screen or a selected area if you are recording a desktop. Begin by selecting the Big Red recording button. After you click this, the window will go away and there will be a countdown to begin the recording. In the bottom right corner there a window will appear. This window has a stop button (square), pause button (red circle), cancel recording (X), and a timer. Once you have finished your recording, select the stop button. It will ask you if you are sure you want to stop recording. Click Yes, Stop it. After the recording is finished a new window will appear. In this window you will see a thumbnail image of your recording. You will also be able to title your video, add a description, and add tags so you can search for it easily. At the bottom, select either Save if you want the video saved in Kaltura Capture, or Save and Upload if you would like to sync the video to you Canvas Account. The video will not appear in My Media in Canvas until the video is uploaded. The video may take some time to upload to Canvas, so give it time. Do not close the widow until the video is fully uploaded. This will take you to your My Media account. You should see the video you just uploaded listed first. To edit and add quizzes to your video, click on the pencil icon. For more information about the quiz tool, see the Knowledgebase article titled "Canvas - Kaltura Capture Quiz Tool"